1. Local authority, region and the total (state-funded sector) figures cover achievements in state-funded schools only. They do not include pupils recently arrived from overseas. 2. Includes entries and achievements by these pupils in previous academic years. 3. Attainment 8 is part of the new secondary accountability system being implemented for all schools from 2016. Attainment 8 measures the achievement of a pupil across 8 qualifications including mathematics and English, 3 further qualifications that count in the English Baccalaureate (EBacc) measure and 3 further qualifications that can be GCSE qualifications (including EBacc subjects) or any other non-GCSE qualifications on the DfE approved list. Each individual grade a pupil achieves is assigned a point score, which is then used to calculate a pupil’s Attainment 8 score. The points allocated according to grades the pupil achieves for all 8 subjects are added together to give the Attainment 8 score. English and maths point scores are double weighted to signify their importance. In 2018, an additional 20 reformed GCSEs graded on a 9-1 scale were sat by pupils for the first time, along with the English language, English literature and mathematics GCSEs which were reformed in 2017. Further reformed GCSEs in other subjects will be phased in over the next 3 years. Points will be allocated to the new GCSEs on a 1-9 point scale corresponding to the new 1 to 9 grades, e.g. a grade 9 will get 9 points in the performance measures. To minimise change, unreformed GCSEs and all other qualifications will be mapped onto the 1-9 scale from 2017 (with 8.5 being the maximum points available for unreformed GCSEs). The 2017 headline accountability measures for secondary schools include: Attainment 8, attainment in English and mathematics at grades 5 or above, English Baccalaureate (EBacc) entry and achievement. In 2017, the headline EBacc achievement measure includes pupils who take exams in both English language and English literature, and achieve a grade 5 or above in at least one of these qualifications. Pupils must also achieve a grade 5 or above in mathematics and a grade C or above in the remaining subject areas. From 2018, the headline EBacc attainment measure is the EBacc average point score (EBacc APS). This replaces the previous threshold EBacc attainment measure. EBacc APS measures pupils’ point scores across the five pillars of the EBacc –with a zero for any missing pillars. 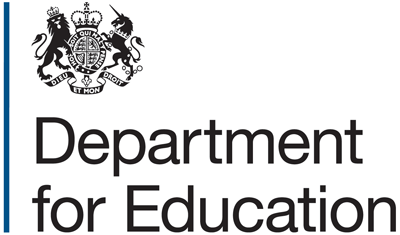 This ensures the attainment of all pupils is recognised, not just those at particular gradeboundaries, encouraging schools to enter pupils of all abilities, and support them to achieve their full potential. For transparency and to allow comparison to 2016, the threshold attainment measures are also published at grade 4 or above, as additional measures. These figures are is most comparable to 2016 data, because the bottom of a grade 4 in reformed GCSEs maps onto the bottom of a grade C in unreformed GCSEs. Attainment in English and maths (9-4) - Pupils can achieve the English component of this with 9-4 in English language or literature. There is no requirement to sit both exams. English Baccalaureate (EBacc) achievement - This measure includes pupils who take exams in both English language and English literature, and achieve a grade 4 or above in at least one of these qualifications. Pupils also need to achieve a grade 4 or above in mathematics and a grade C or above in the remaining subject areas. Includes pupils not eligible for free school meals and for whom free school meal eligibility was unclassified or could not be determined.